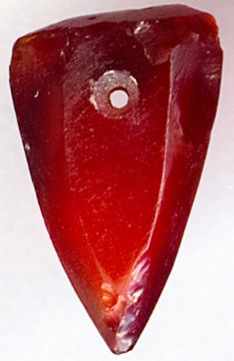 Displayed in this section, you will find a variety of beads carefully carved and polished in such a way that the form of the stone itself becomes a significant part of the message. 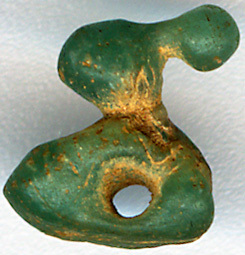 The more abstract geometrical forms of more typical beads, as displayed in Ancient bead production, such as barrel, ball or convex forms are here substituted by more advanced figures of animals, humans, symbols or other things such as weapons. 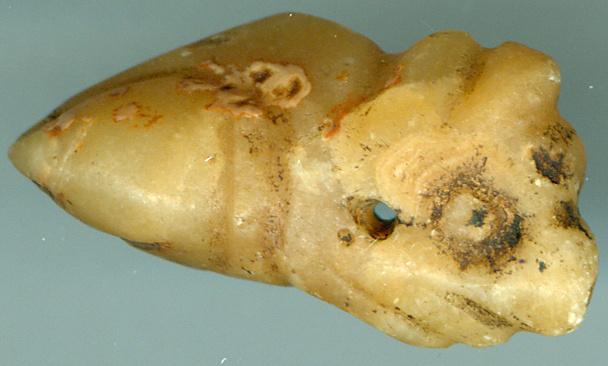 As Horace Beck point out in his book The beads from Taxila, certain patterns may have had special meanings. 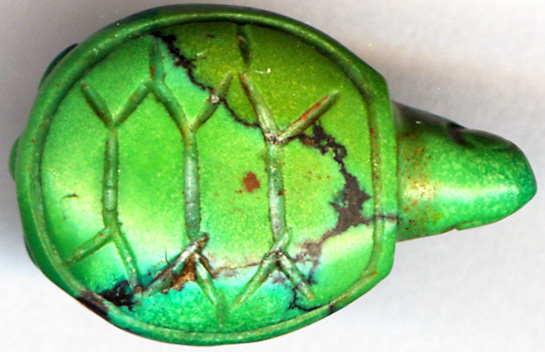 (p.8) The patterns, either natural or etched, the material, the color and the bead form itself can in this way be considered as an almost forgotten symbolic language, a bead equivalent to the still known mudras of Lord Buddha. This primarily Buddhist sign language could be understood by all Buddhists, regardless of culture, language and distance along the silk route from Syria to China and from the Himalayas to Sri Lanka. My guess is that beads have been a part of a parallel iconography, created out of the same need for a universal lingua franca in vast geographical areas sharing cultural identity. 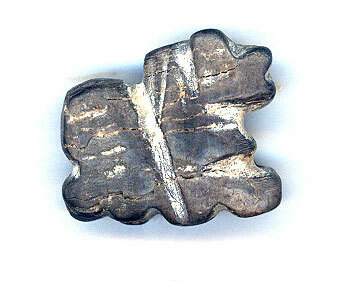 Mudras and beads acted here as symbolic social binding forces, that could create a sense of unity over vast distances. 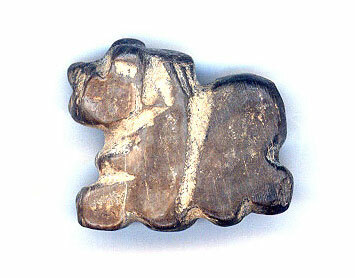 Seen in this perspective it gives sense that both the iconography of sign language and bead-language was created, not by the gigantic Ashokan Empire, but as far back as in the Indus valley culture, a culture that at its height was spread out of an area of 1,5 million km2! 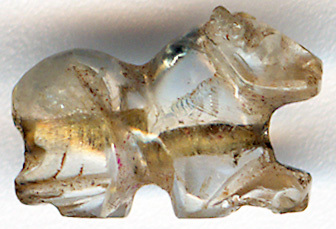 Later, after the Muslim expansion, beads were primarily spread through the vast Islamic world. 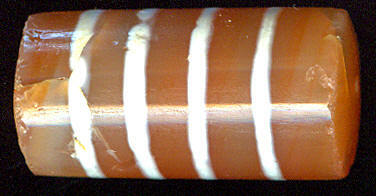 An absurd example of how a lost language is replaced with a new context of meaning can be observed in the renaming of etched beads with stripes. 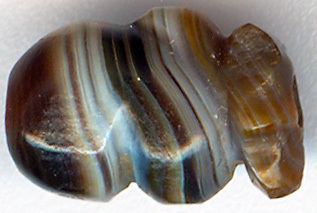 They are now on the internet often referred to as military beads because the stripes somehow remind some people of the stripes used on uniforms. 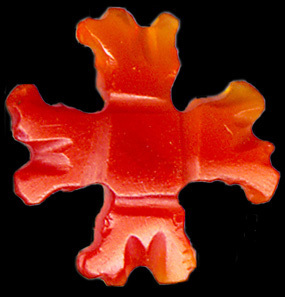 In the case of bead figures like the carnelian cross or the crystal lion displayed below it becomes a little more easy to assert the meaning and the historical context in which the bead served as a magic messenger. The following theories are still guesswork but based on bits of evidence. 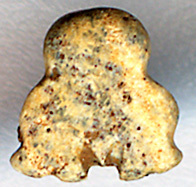 The workmanship in this little bead figure is awesome! 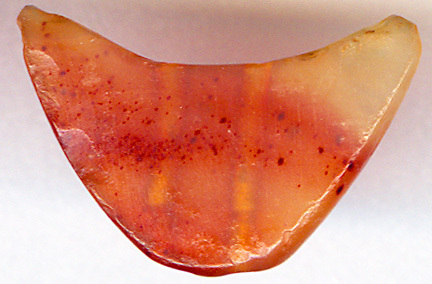 Also note the strong and uniform carnelian color. 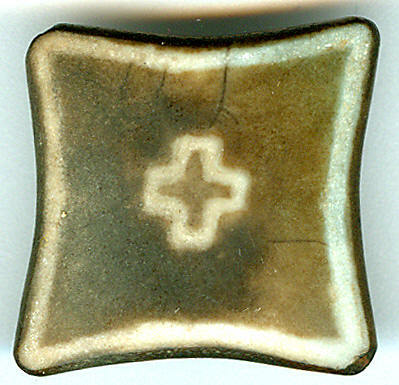 The cross was seemingly very comon as a signifying symbol on ancient etcheds beads particuar in previous ancient Buddhist strongholds such as Pakistan in the west and Burma in the East. 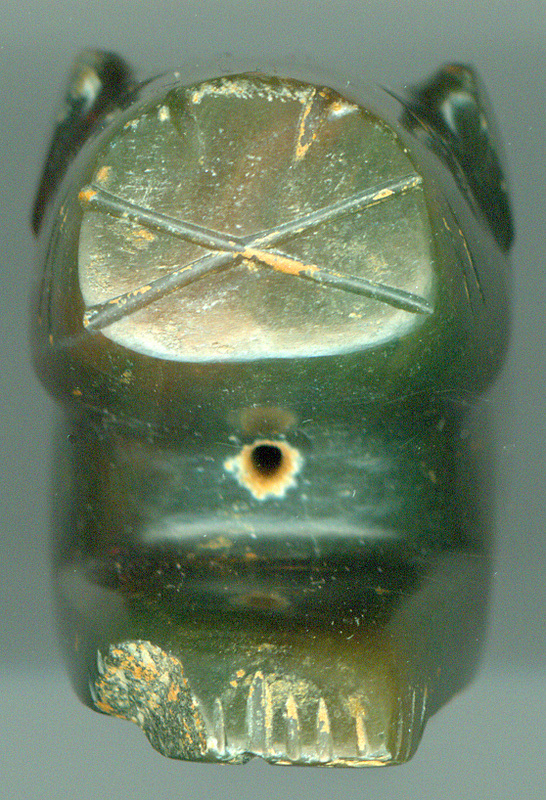 However, it is incredibly rare to see a Buddhist bead carved as a cross. 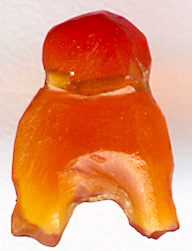 It is so rare that it is even not mentioned in Shantaram Deo's book Indian Beads. 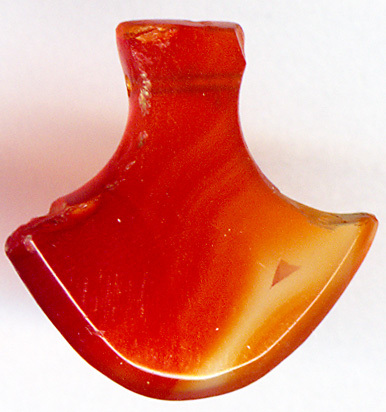 This book is in detail (p.79 to 94) describing all kinds of Indian amulet and pendant bead-shapes but without the mentioning of a cross bead amulet. 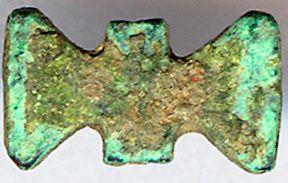 The little awesome cross bead displayed above points, as much other evidence at the hidden link between Bactrian Buddhism and Christianity. This is not the place to elaborate on this connection apart from mentioning that I have gathered a lot of evidence pointing at Christianity as a social, western customized construction of eastern Buddhist philosophy that existed in the form of the Jataka Tales along the trade routes all the way to Syria and beyond. In the Buddhist context, the cross is not signifying the sufferings of Christ, but most probably the preaching of the Buddha's first four noble truths going in all the four directions of the world as we can observe in the Ashoka Lions. Ashoka's four lions - Museum in Sarnath.These Ashoka Lions were erected on 15-meter tall pillars everywhere in Ashoka's vast Empire. 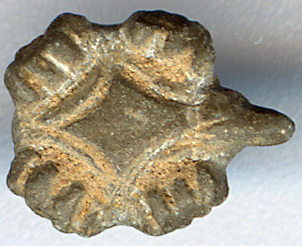 Love for ornamentation has been common to humankind since the days of the Neanderthals. 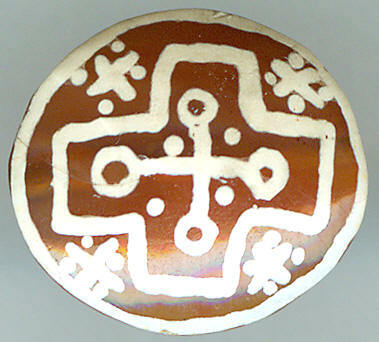 This ornamentation was made in a context of symbolic and magic thinking. 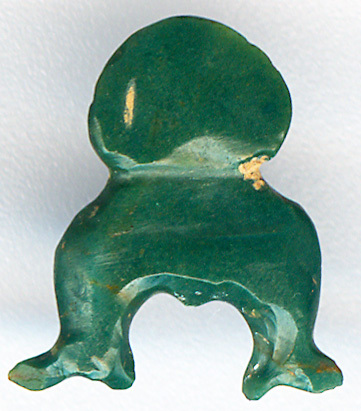 It is not far-fetched to assume that the amuletic power of carved beads is linked to the specific form of the bead in the sense that this delicate crystal lion was meant to bestow its owner with the authority and courage of a lion. 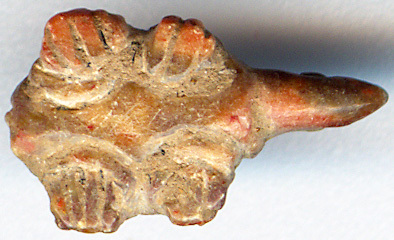 Buddham Sharanam Gacchāmi; Dharmam Shranam Gacchāmi; Sangham Shranam Gacchāmi. 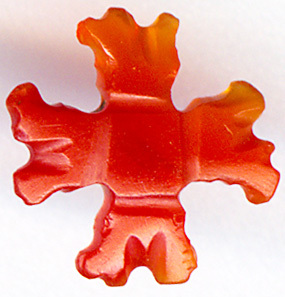 In the understanding light of the Triratna we now can se how this cross bead also consists of four Triratnas, pointing in all four directions of the world like King Ashoka's famous Lions. 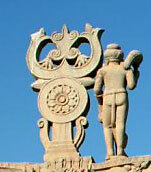 Displayed above we have a commn Hindu symbol: Nandi, the bull, is often depicted together with the god Shiva. 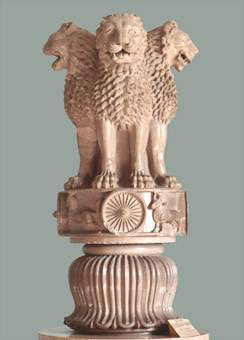 We must not forget that India was both a Hindu and a Buddhist culture even at the height of Ashoka's reign. 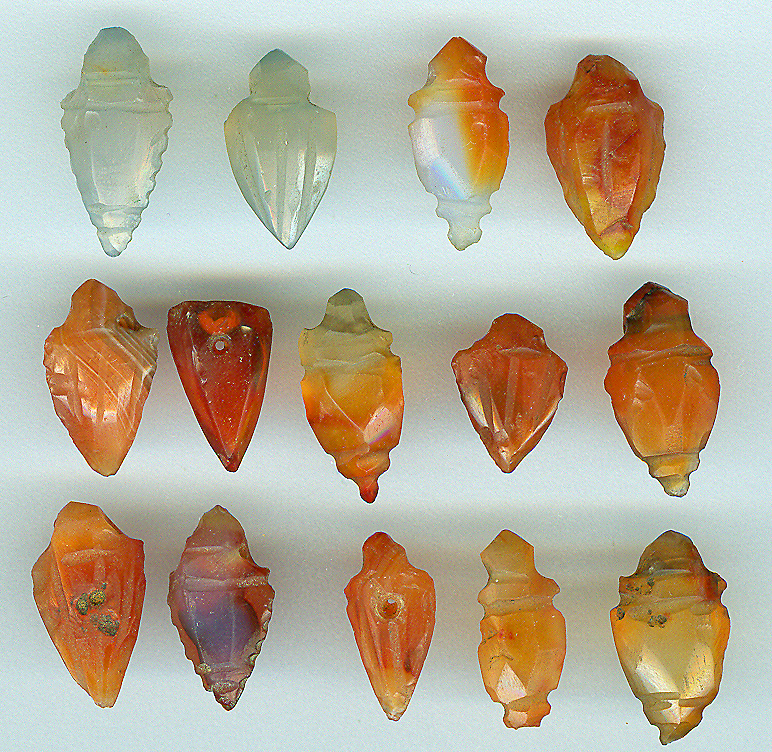 Displayed above and below: Wonderful carved bead Tortoises in perfect condition. 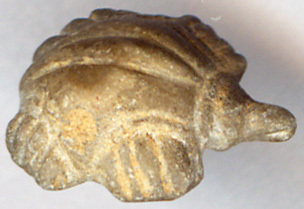 The tortoise is an incarnation of the god Vishnu, the God that upholds the balance on earth and in human civilizations. This is the divine commandment for the good king. He is as the upholder of order an embodiment of Vishnu. 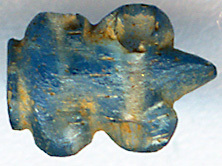 Left: This small beautiful Sri Lankan tortoise bead is made out of an almost perfect piece of sapphire. 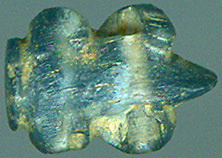 The bead is most probably a 'Hindu bead'. 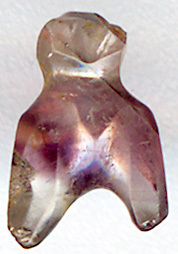 Right: This wonderful amethyst bead has been carved like a conch shell. 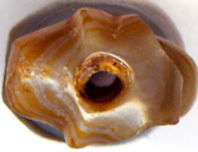 The conch shell symbolizes war and victory. 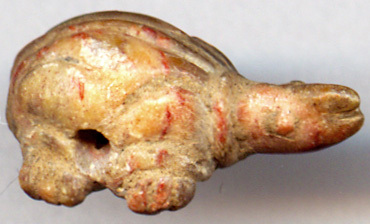 It was used as a war trumpet in ancient times. 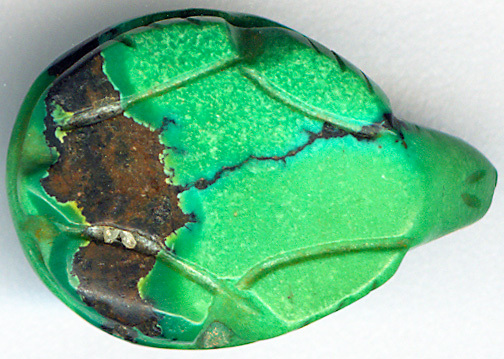 Wonderful Turquoise Tortoise - This bead is antique, but not ancient. 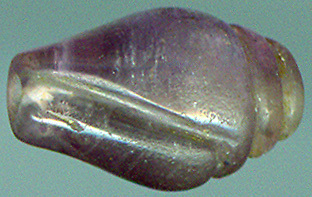 As one can see on the scan, this fragile peacock bead is broken and has been repaired. It is however still a marvelous piece of art. but all doubt disappears when you hold an original like this one in your hand. 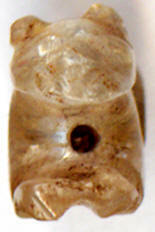 These interesting weapon beads most probably origin from South India. They are depicting swords from the south and central Indian Bohra Muslim culture. 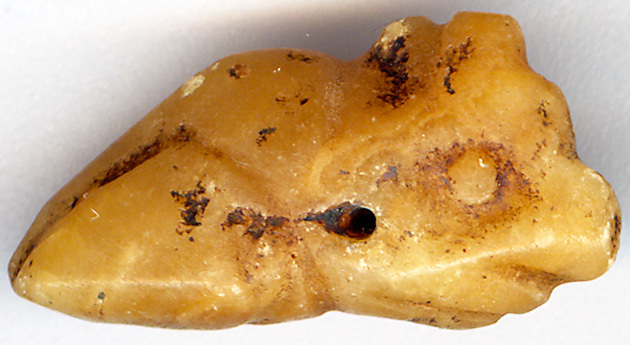 The beads are most likely not more than a few hundred years old.